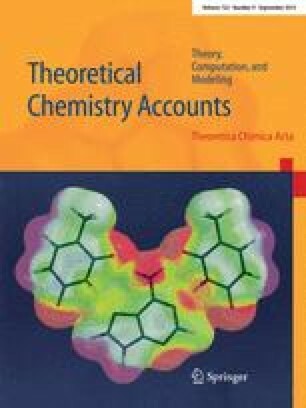 This article presents a numerical quadrature intended primarily for evaluating integrals in quantum chemistry programs based on molecular orbital theory, in particular density functional methods. Typically, many integrals must be computed. They are divided up into different classes, on the basis of the required accuracy and spatial extent. Ideally, each batch should be integrated using the minimal set of integration points that at the same time guarantees the required precision. Currently used quadrature schemes are far from optimal in this sense, and we are now developing new algorithms. They are designed to be flexible, such that given the range of functions to be integrated, and the required precision, the integration is performed as economically as possible with error bounds within specification. A standard approach is to partition space into a set of regions, where each region is integrated using a spherically polar grid. This article presents a radial quadrature which allows error control, uniform error distribution and uniform error reduction with increased number of radial grid points. A relative error less than 10−14 for all s-type Gaussian integrands with an exponent range of 14 orders of magnitude is achieved with about 200 grid points. Higher angular l quantum numbers, lower precision or narrower exponent ranges require fewer points. The quadrature also allows controlled pruning of the angular grid in the vicinity of the nuclei.